NESTLED quietly on a slope of Lorong Dungun in Damansara Heights, Kuala Lumpur, The Hill Restaurant is worth the climb for its food and even better ambiance. The place comes with a lounge, beer garden and nice quiet loft for those who prefer a lovely dining experience that promises a great view. Their concept is perfect for the “happy hour” crowd as well as family and friends for a nice get together or events. Fresh feel: The sweet and minty After Eight cocktail. 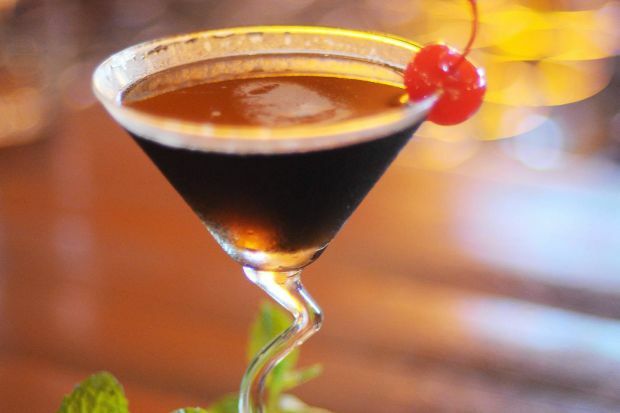 It is known for its interesting and very adventurous cocktails that take drinking to a whole new experience especially with Milo Ice served with Kahlua and Rum, After Eight with chocolate, Hennessey and peppermint and their Watermelon Slush which be shared and is a real treat. 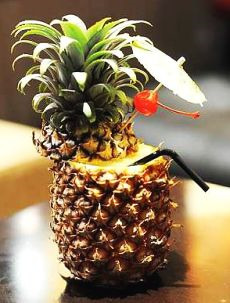 The Hill can take pride in their unique concoctions as its mixologist was crowned the best in the country in a competition recently. Japanese foodies can also enjoy an array food from tempura, shashimi, sushi and temoki. Roen Cian Nagapan, who is one of the partners of The Hill said the drinks were their own creations. The creative streak does not end there as their world famous burgers are also original recipes like King Monster with Foie Gras and The Red Monster made with soft shell crab. “We created our sauce for each burger and make our own patties to give a more juicy flavour to the meat. “We sell a lot of the burgers apart from our famous drinks. Food is prepared very fast except if there is an order for the Brontosaurus Beef Ribs, which takes two hours to make. “My partners and I love food, so we translated our passion into the food we serve,” he said. He added the clientele consist of local residents, surrounding office workers and travellers including a fair number of Japanese people. The Brontosaurus Beef Ribs is a massive meal fit for a king, which takes hours to make. Patrons are advised to call and pre-order the dish. There are limited servings of the dish but it is worth the try as the beef is very soft and one can taste spice even until the end of the bite with a slight hint of a sweet and sour finish. A must-try is the Milo Ice with Kahlua and Rum for its unique mixture but the After Eight is more of a ladies drinks or for those who like something sweet and minty. The Red Monster burger is spicy, tropical and the soft shell crab is a nice touch. As for the Japanese food, it is pretty straight forward but patrons can be ensured of the freshness and variety. The fish and chips come served with wedges and have a cripsy outside layer while the fish is soft. UOB card holders can enjoy 15% discount across the board for all the food until Dec 31. The UOB Monthly Hot Picks is not valid for drinks.